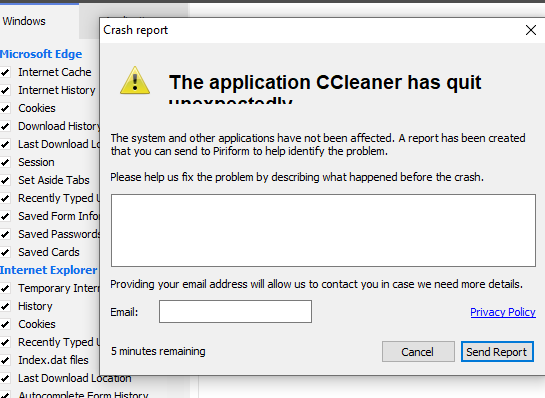 It appears CCleaner is not compatible with the new Norton 360. All three of my computers I installed it brought up CCleaner crash messages to send to CCleaner to advise why. Try Glary Utilities. It works better, has not had any security issues and appears compatible with Norton. Please advise CCleaner build and version number. Please advise new N360 build and version number.